Virgin Media has announced that it is to double its premium cable broadband service speeds to 20Mbit/s. The newly rebranded broadband operator will complete the upgrade by June, it said, unless any unforeseen capacity or infrastructure problems occur. The upgrade will put Virgin Media ahead of rival ADSL broadband offerings. The current maximum broadband speed is 16Mbit/s over a standard ADSL connection. Virgin Media said it has already trialed the 20Mbit/s service among selected users. "Cable has inbuilt advantages in the quality of broadband service that we offer," the company said in its financial results statement . "Customers can receive consistent speeds and a top speed of 10MB is available throughout our broadband addressable areas. We will be increasing this to 20MB in June and we are also currently conducting a residential trial of a 50MB broadband service." Alongside the announcement of increased broadband speeds, Virgin Media said it made a £122 million loss for its fourth quarter, and lost 37,000 customers. 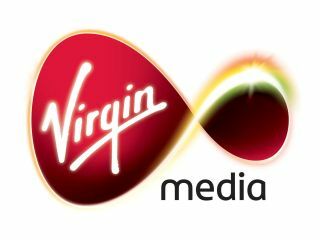 Virgin Media today lost a number of popular TV channels provided by BSkyB after failing to successfully renegotiate BSkyB's contract.